South Korea’s $270 bln chipmaker already flagged a dismal first quarter because of a glut. Fewer competitors mean supply cuts could more readily lift prices. But Samsung investors may be underestimating the risks of both stockpiled inventory and weaker demand from new industries. The new Samsung Galaxy Note 9 is seen during a product launch event in Brooklyn, New York, U.S., August 9, 2018. 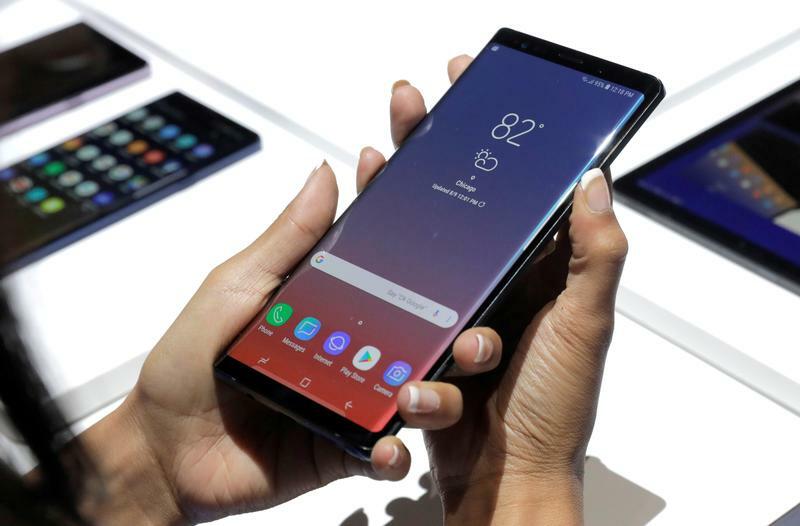 Samsung Electronics said on March 26 that its first-quarter operating profit is likely to fall short of what analysts are expecting due to falling memory chip prices and slowing demand for display panels. "The company expects the scope of price declines in main memory chip products to be larger than expected," Samsung said in a rare statement ahead of its earnings guidance due on April 5. Before the company’s profit warning, on average, forecasts for Samsung were for an operating profit of 8.1 trillion won ($7.1 billion) in the three months to March, according to Refinitiv data, down 48 percent from the same period a year earlier. As of mid-morning on April 3 in Seoul, shares of Samsung were up 19 percent to 46,200 won since the start of the year.